The Mt. Zion Choir invites you to join them! 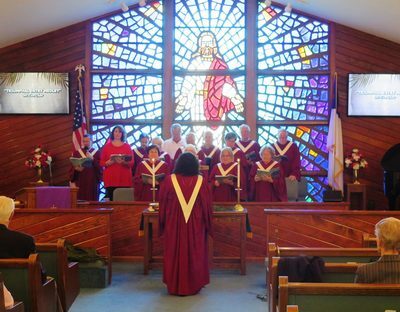 The MZ Choir meets 7:00 PM Thursdays to practice anthems and new musical selections. Newcomers are always welcomed! 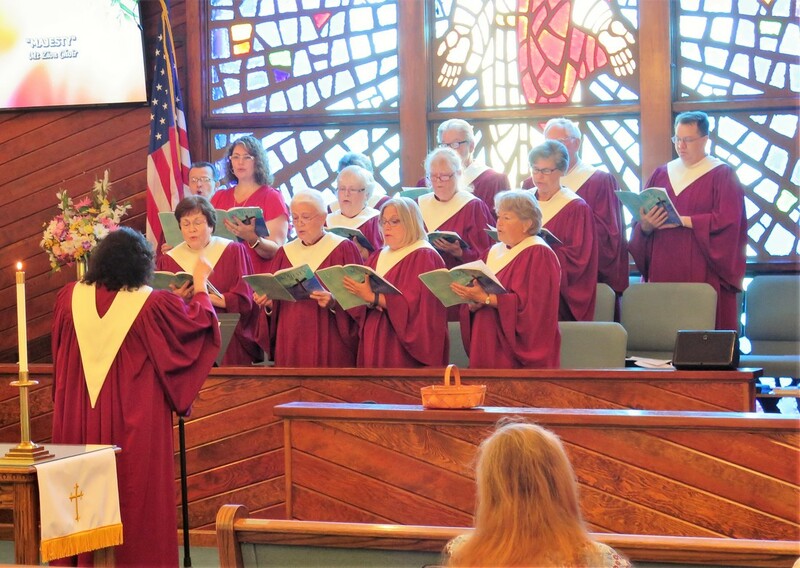 During select Sundays soloists, musicians, inspirational readers and small groups are invited to share their joy in the Lord. 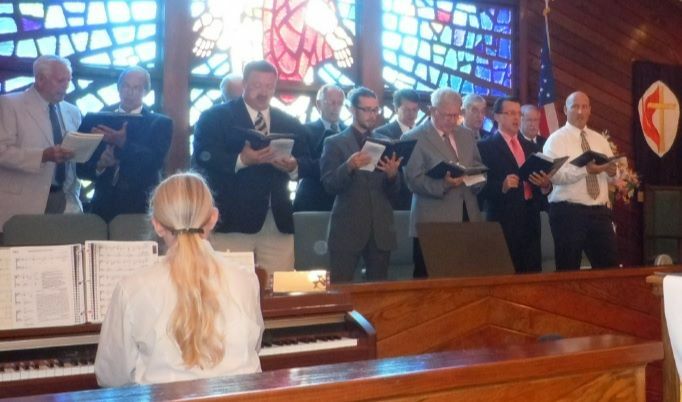 The choir enjoys praising God in song or with musical instruments and invites you to join them. 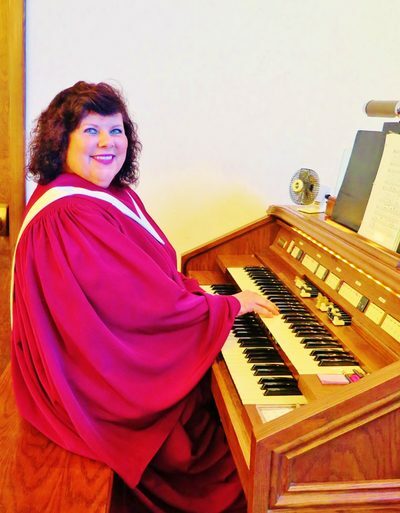 Contact our Choir Director, Becky Howard, for more information about music presentations, skits or to volunteer in the sound booth providing technical support with equipment behind the scenes. Training is available for equipment and also for help with editing and posting sermons online. Be a part of Mt. 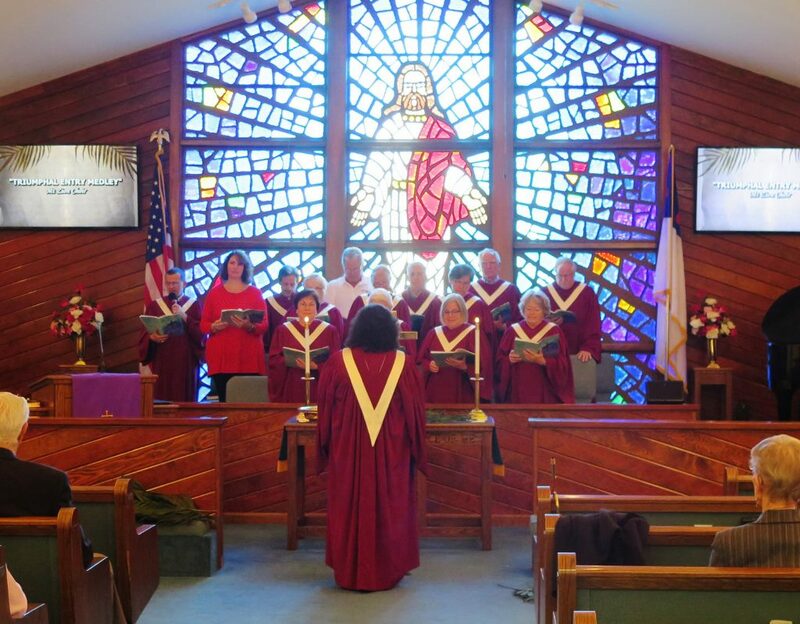 Zion's ministries and discover the blessings! 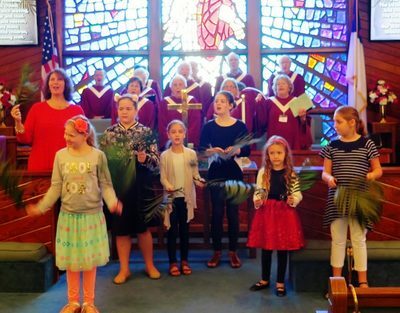 2018 photos to the right are: Becky Howard at the organ and leading the choir; a fun Banjo old time hymn and children leading a song on Palm Sunday! 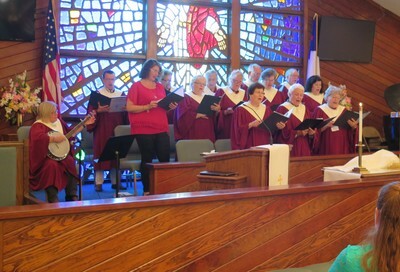 Below on this page are "Looking Back" photos at a few previous ways our Lord has been celebrated and worshipped musically. More photos may be viewed in our Gallery. Anthems are shared most Sundays and recently a beautiful Cantata "Majesty!" 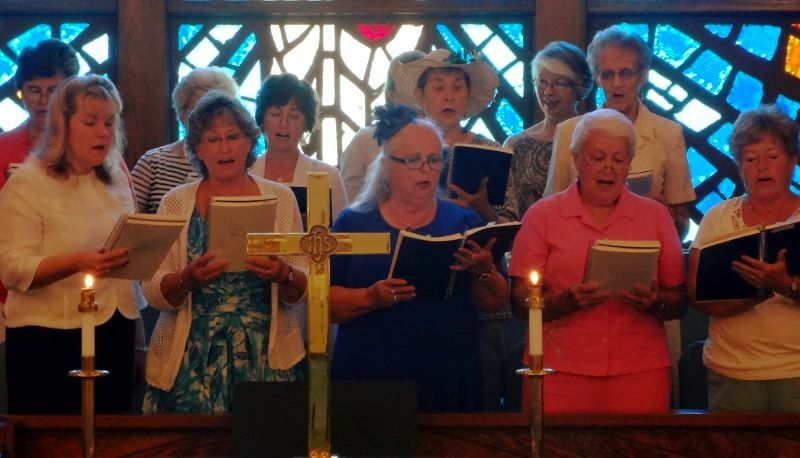 Joyful Hearts Ladies Bible Study group praise the Lord!